A former manager of two Planned Parenthood facilities in Iowa states that facilities were expected to reach “abortion quotas,” and if they succeeded, they were rewarded with pizza parties or other perks. Sue Thayer, a mother of six who has fostered over 100 children, worked at Planned Parenthood for 17 years. She first managed Planned Parenthood of the Heartland’s Storm Lake facility, and then went on to manage the LaMars facility—that is until being fired by the organization in 2008 after expressing concern about its practices. 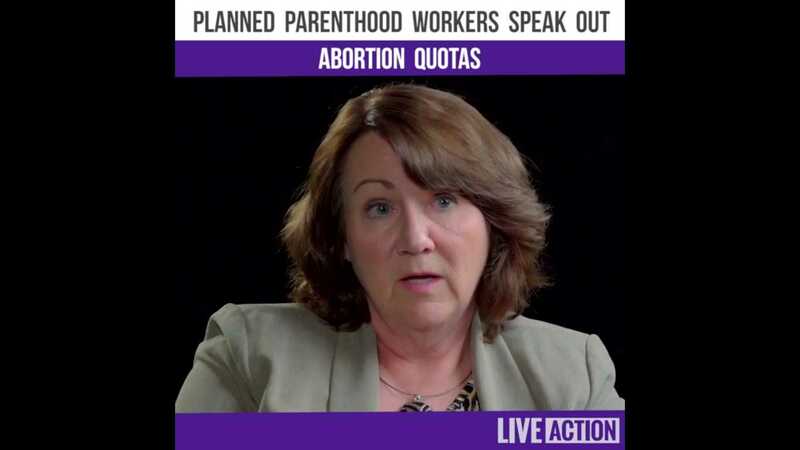 Thayer recently spoke with Live Action, and outlined that during her tenure, she witnessed the quotas that were expected of Planned Parenthood facilities. She said she trained those under her to urge mothers to abort, and most commonly in light of the cost of taking care of a baby. “If they’d say, ‘I’m not able to pay today,’ then we would say something like, ‘Well, if you can’t pay ten dollars today, how are you going to take care of a baby? Have you priced diapers? Do you know how much it costs to buy a car seat? Where would you go for help? There’s no place in Storm Lake—or whatever town they were in… So really, don’t you think your smartest choice is termination?” she recalled telling mothers in an attempt to convince them. The facility would then offer to schedule the abortion at that point. Thayer said that if the abortion quotas were met, the staff would be rewarded by the organization. “We would have things like pizza parties. Occasionally they would say, ‘You can have two hours of PTO (paid time off).’ If your center consistently hit goal and you were green all the time, like three months in a row, you might be center manager of the month and get to go to Des Moines and have lunch with the upper management or something,” she outlined. As previously reported, Thayer testified before Congress in 2015, stating that she had joined Planned Parenthood out of a desire to help women, but learned that the organization was not all she thought it to be.